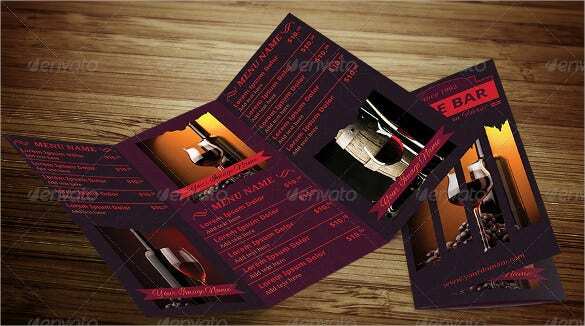 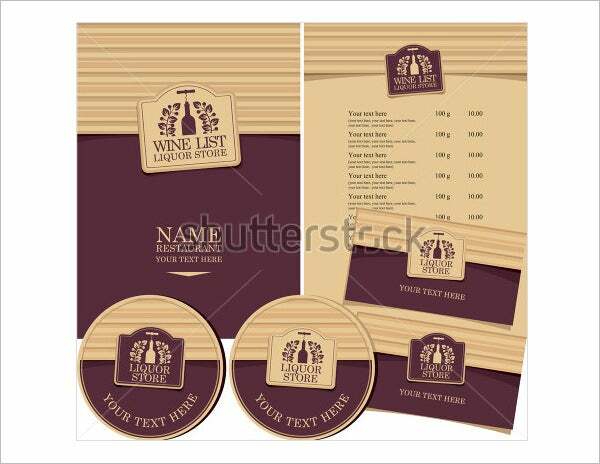 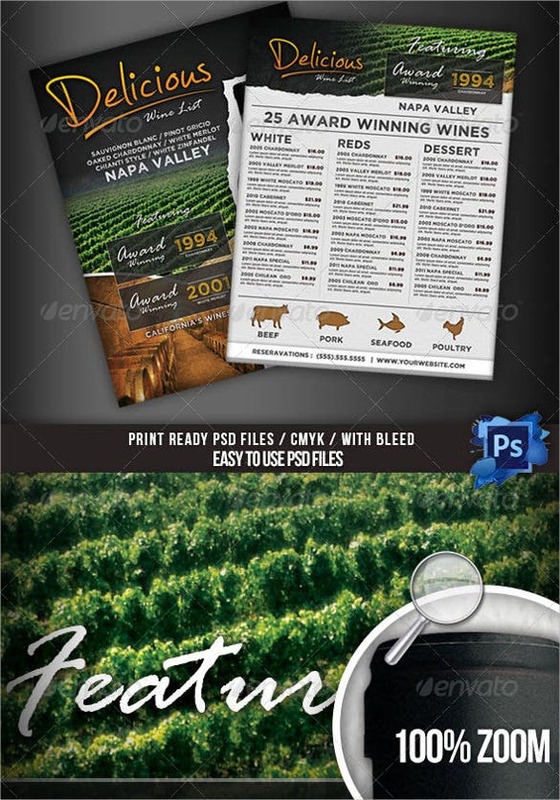 Wine Menu Templates – 31+ Free PSD, EPS Documents Download! 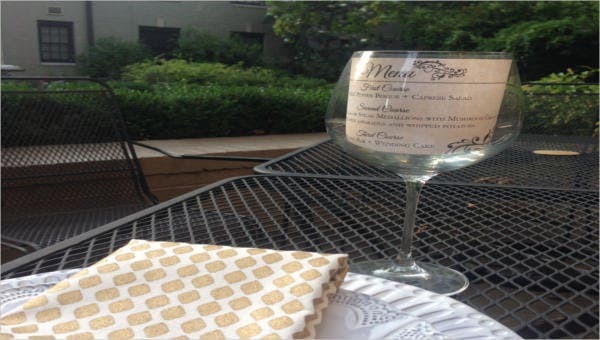 Most people believe that the ideal way to enjoy a good meal is to accompany it with a good wine. 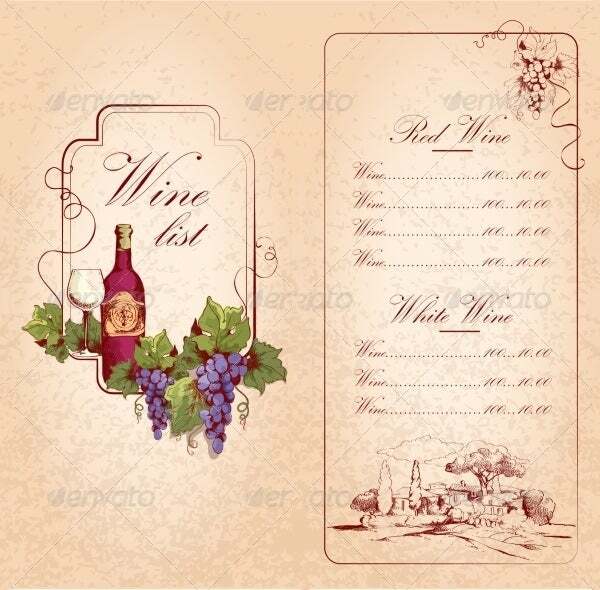 Therefore, offering an admirable selection of wines in Bar menu templates to guests is crucial for the success of a fine dining restaurant and it all starts with a good wine menu. 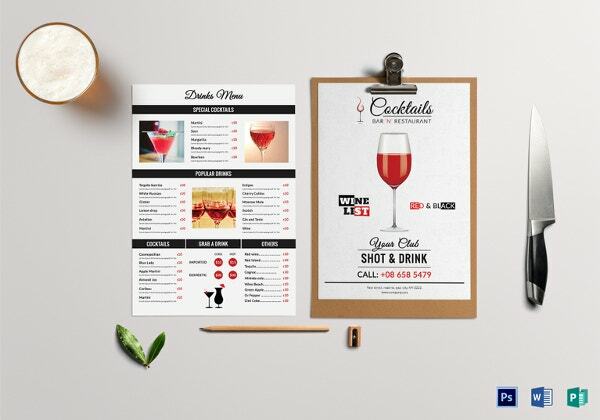 You can also see Bar Menu Templates. 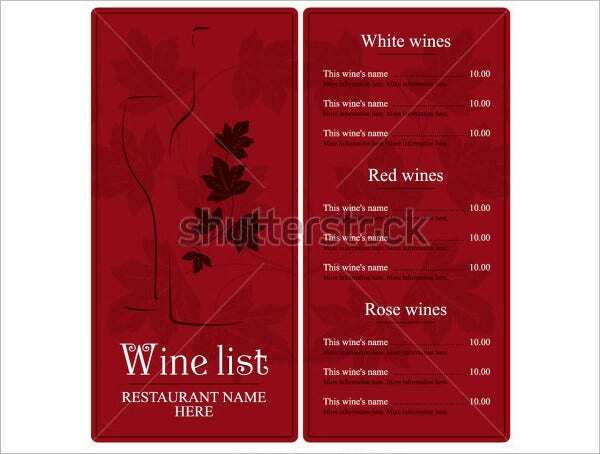 Your choice of wine menu template reveals a lot about your restaurant so you must pick your wine menu with prudence. 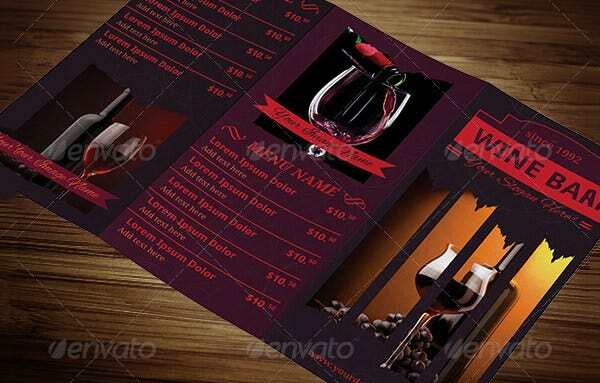 Menu Templates must to be tasteful and rich as opposed to dry and sloppy. 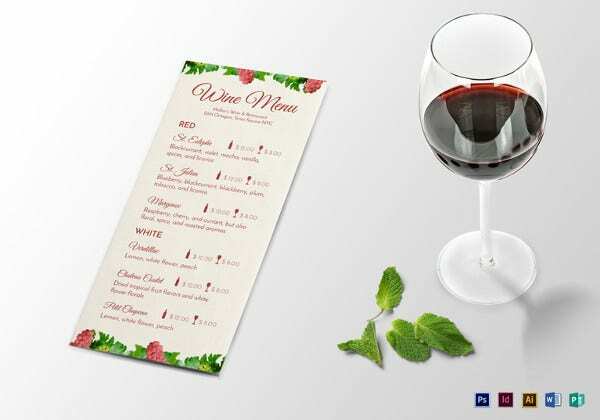 Including expressive descriptions in a template can make it less demanding for the visitors to pick the most appropriate wine to complement their ordered food. Highlighting it with info graphics and keeping the item names simple is a wise option. 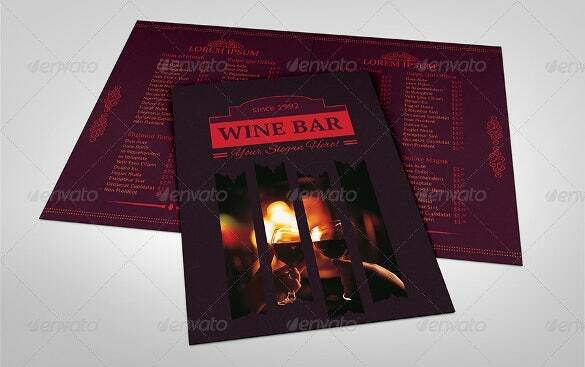 This PDF wine menu template is designed in purple and red wine hues to make it symbolic of the shade of wine. 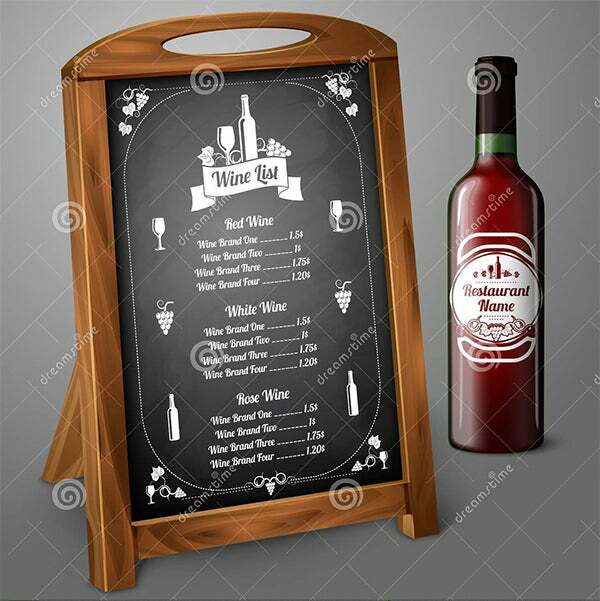 The menu has the logo or graphics of a wine jug and glass to distinguish it as a wine menu. 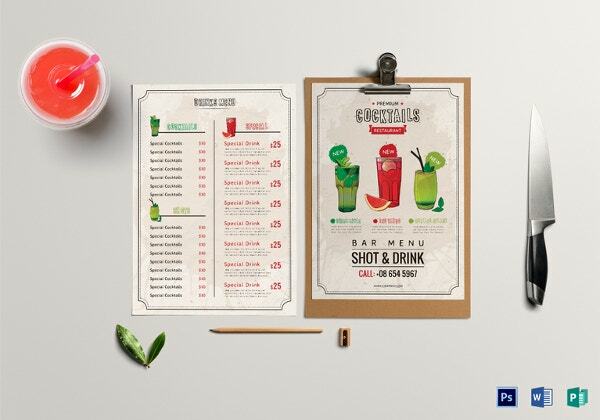 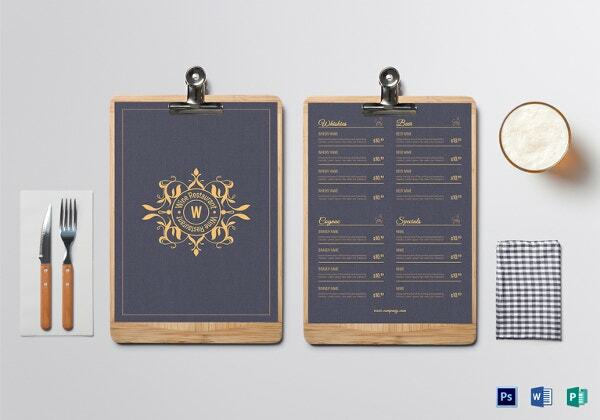 This menu will look awesome on any eatery table. 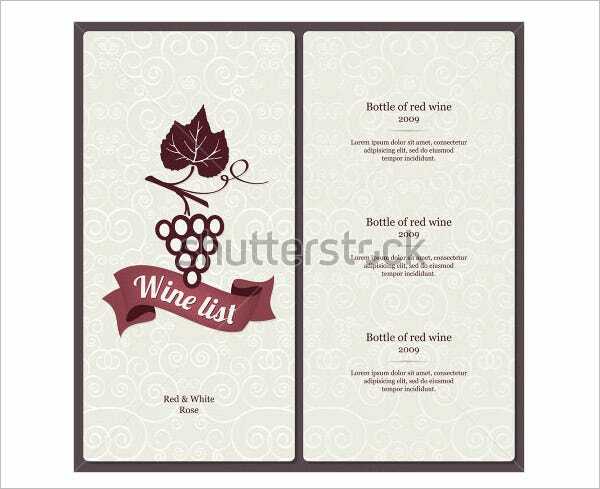 This Word blank wine menu template comes in brown color with a wine bottle and grapes on the side. 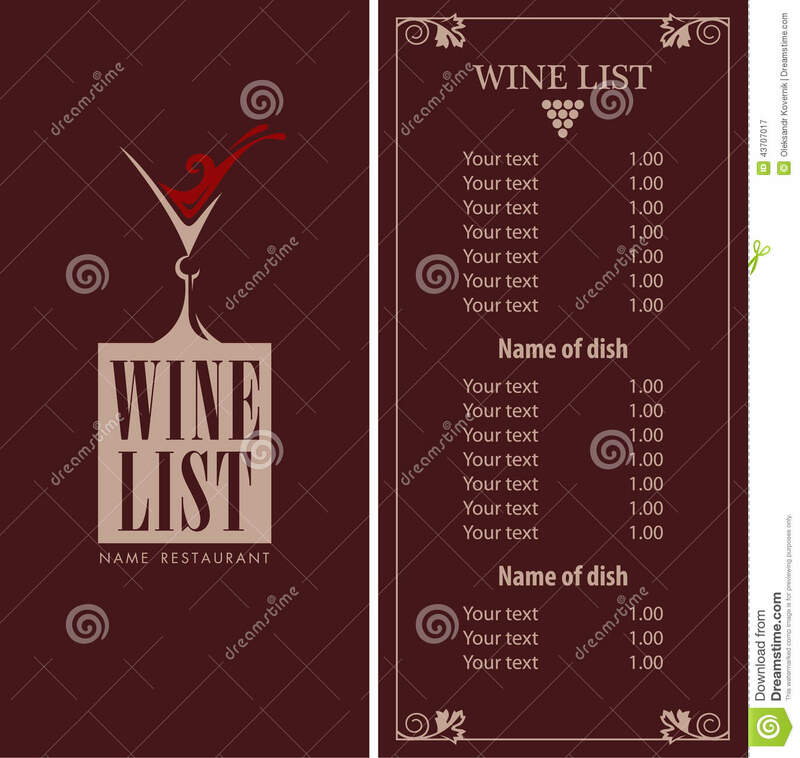 This menu gives you the power to include any wine you would like to add and design it how you want. 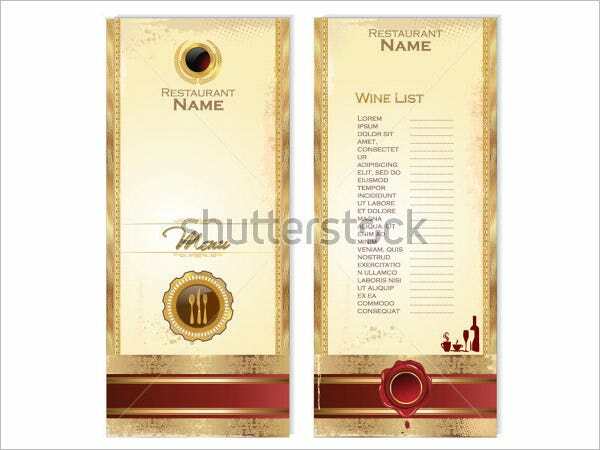 This Excel format luxury template for a wine menu comes in a gold colors with a red strip at the bottom. 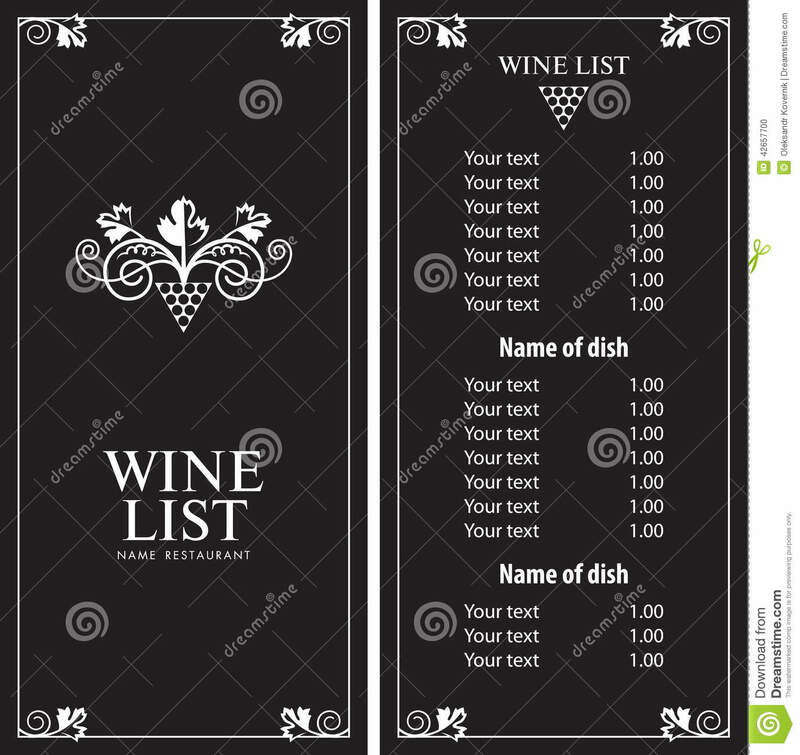 The wine list is simple and short for the customers to make a quick decision. 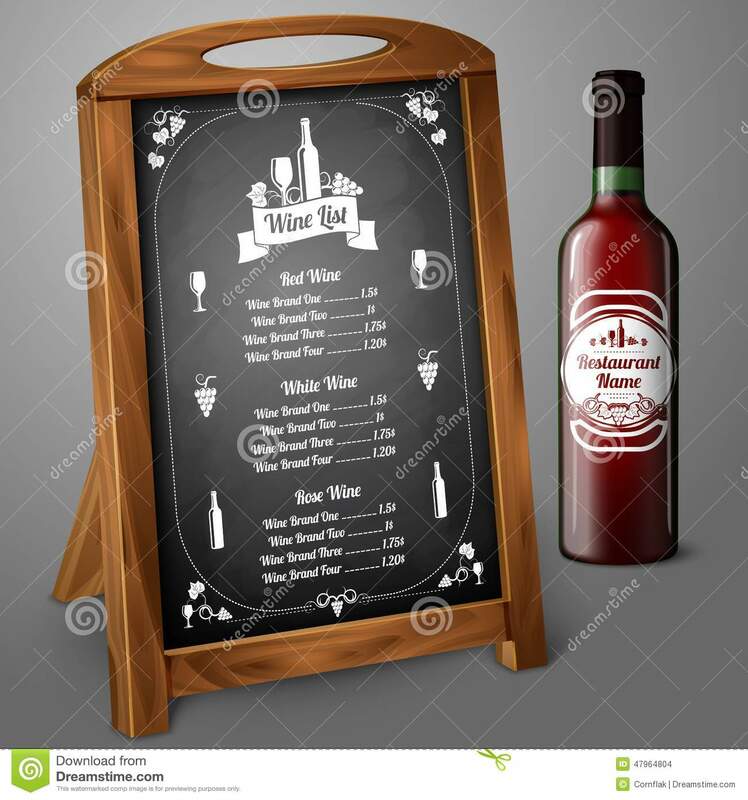 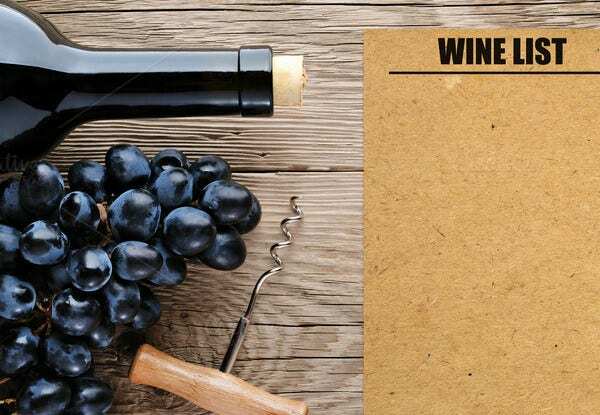 This PDF wine menu template on chalkboard has red, white and rose wines lists written in black with a wine bottle on the side. 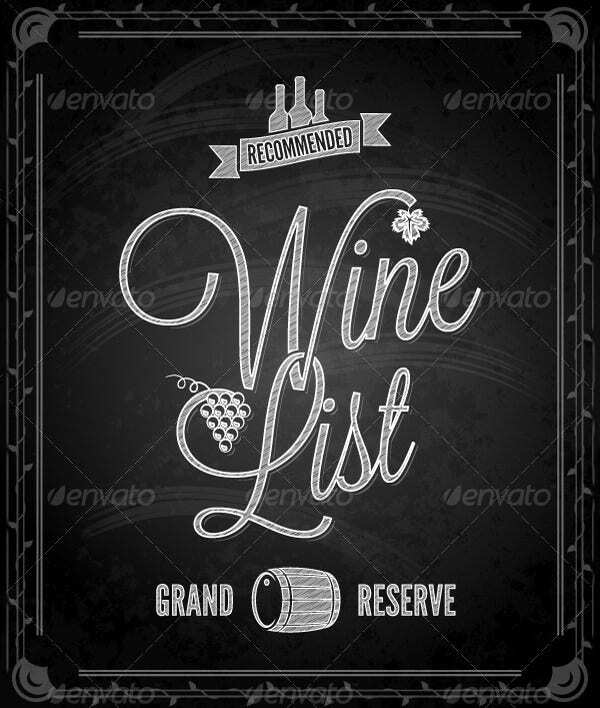 This menu will give your dinners a perfect view of your exquisite wine list. 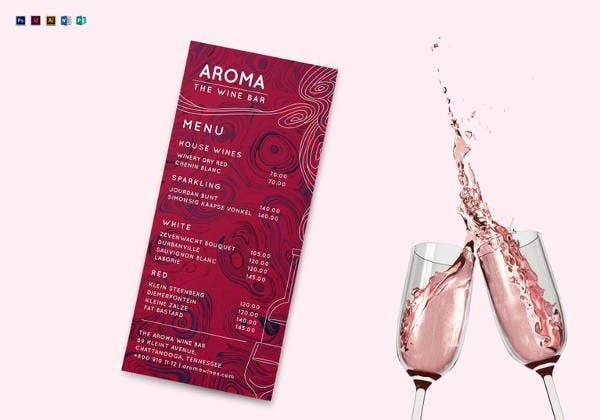 This Word wine menu template sample comes in rose color with a wine bottle and almost filled wine glass. 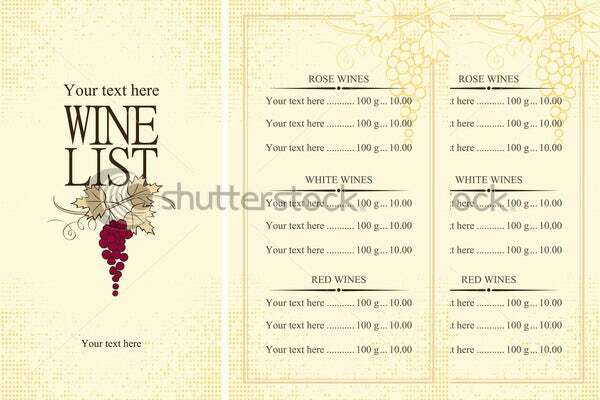 You can download this template and use it as a sample to draw some ideas for your wine list. 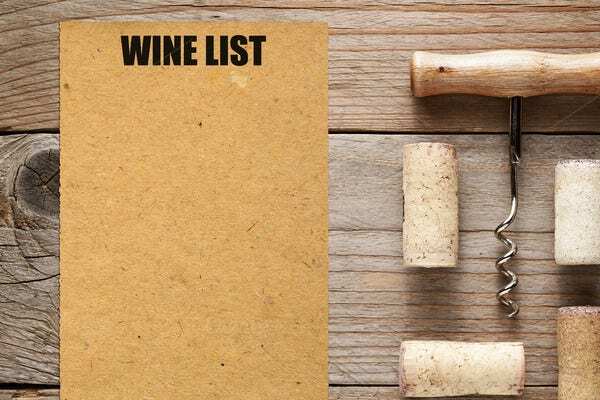 This Excel format wine list cork and cork screw comes is blank waiting for your creativity to nature a fine wine list for your restaurant. 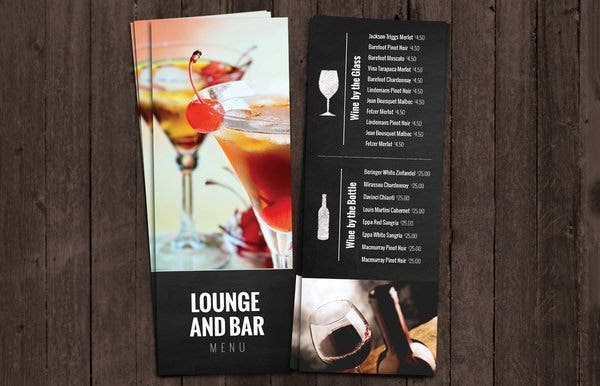 This menu is just a download button click away from your hold. 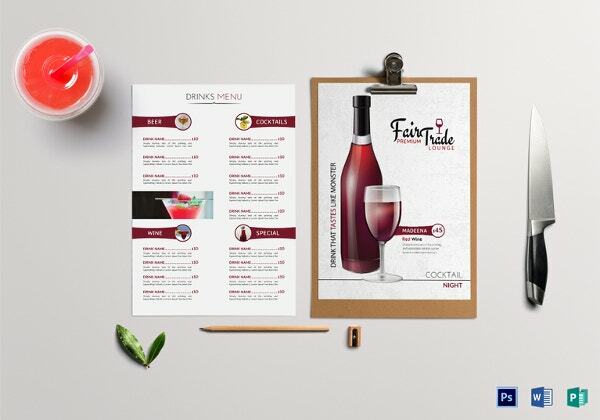 This PDF wine menu vector illustration has the front page reading ‘wine list’ and the back a wine list plus some dishes. 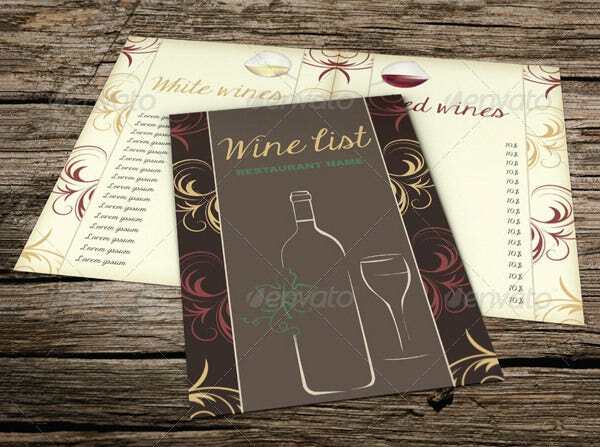 The menu comes in a dark brown color with the items written in white. 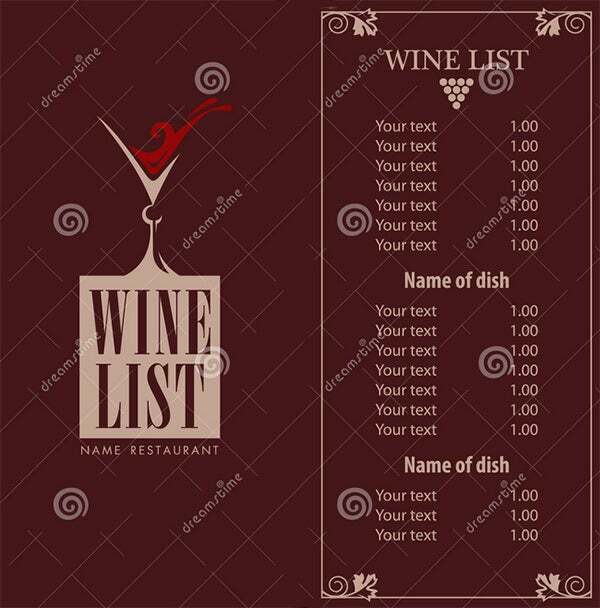 This Word wine menu template comes in a light brown color with the front having a wine bottle and some strawberries followed by the wine list of red and white wines. 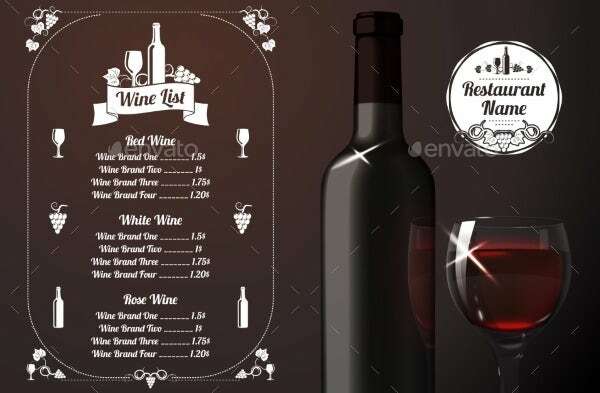 This Excel format bar and lounge wine menu template comes in black with the wine offered both in glass and in a whole bottle. 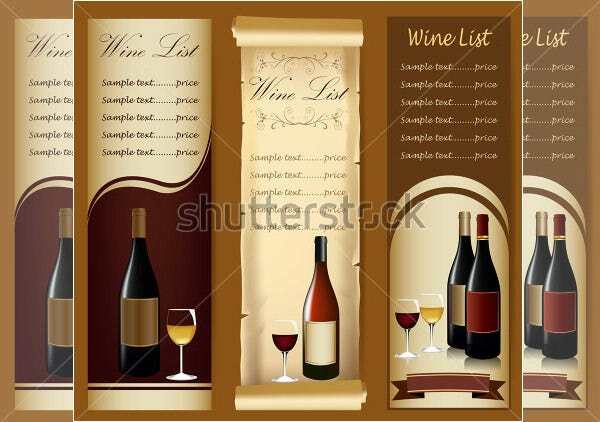 It also has images of wine in glass and a bottle. 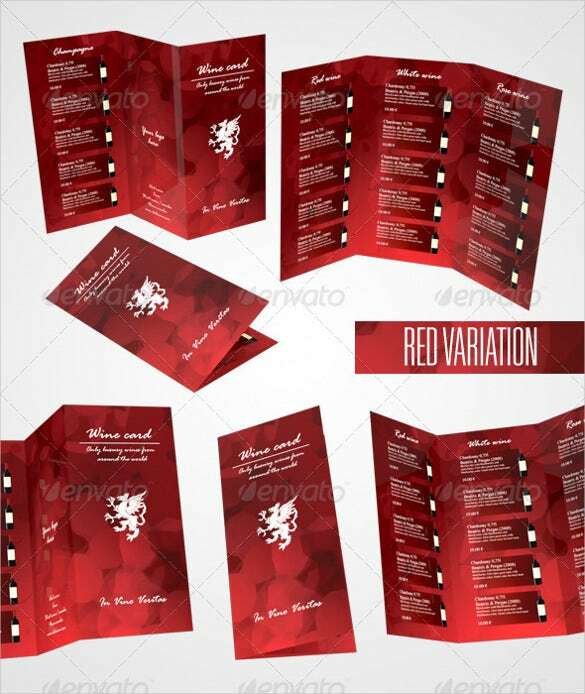 This PDF elegant wine menu with wine glass and bottle comes in different colors and you can choose your preferred color. 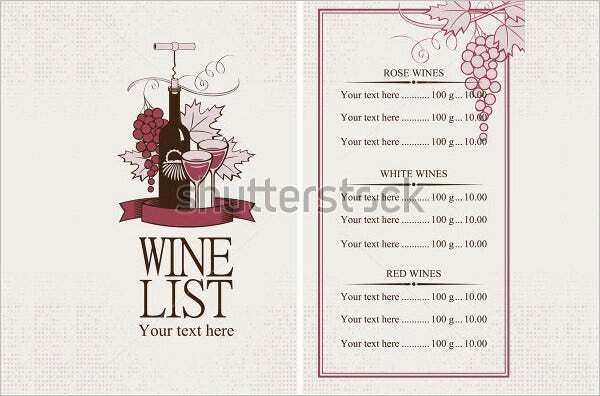 This menu starts with the list followed by pictures of the wine and glass. 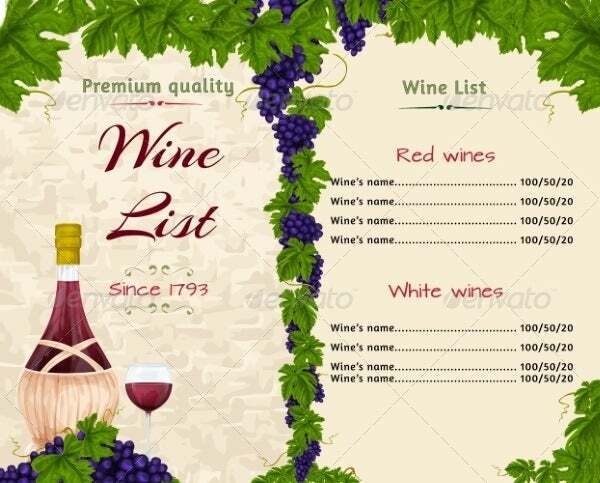 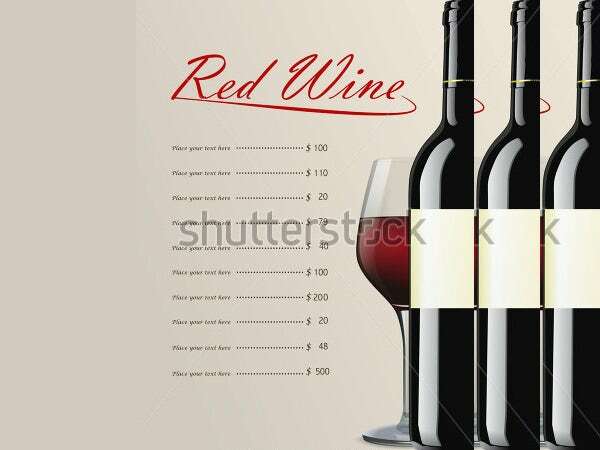 Wine menu should be such so that it is easy to read for the guests and the wines are listed neatly according to their flavor, characteristics or price. 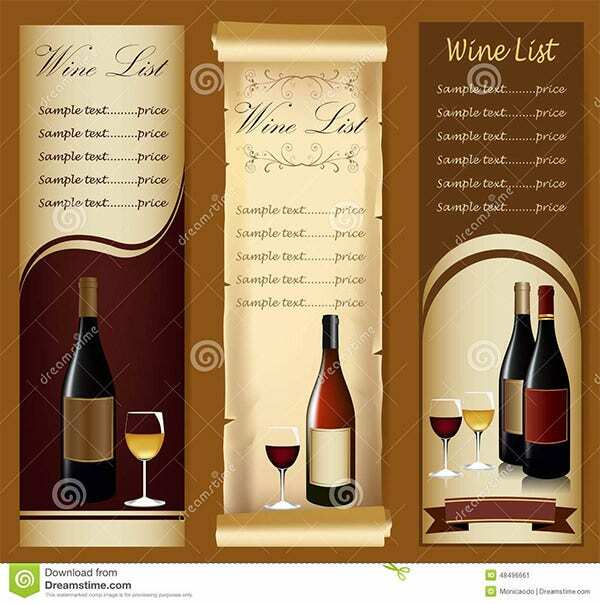 All such things are taken care of with the help of a professionally designed wine menu template which is Using a wine menu template, you can also see Cocktail Menu Templates present your guests with a neat and orderly list of wines and make their experience memorable.